No, this is not another April Fools joke. I missed last year due to a work conflict, but for the 9 years before that, and yesterday, I set The Rivalry aside, and went to the University of Southern California to support the Swim with Mike charity. This worthy cause, named for paralyzed USC swimmer Mike Nyeholt, started in 1981, when Mike was seriously injured in a motorcycle accident. It was organized by friends of Mike, intended as a one-time fundraiser to help him. But Mike turned it into an annual event, for others to reap the benefits. This charity gives scholarships to athletes who are gravely injured, so they can still attend college, and continue to courageously overcome paralysis or amputation. And this year, I had my first, first-hand interaction with Mr. Nyeholt, and I can attest that he is the real deal. At the event yesterday, a woman passed out, and while the paramedics attended to her, Mike wheeled over in his chair, to personally make sure that she was okay. With everything else going on at this event that he oversees, and with all the people placing demands on him, he still had the class to check on this woman, whom he had never met before. This makes me (even more) proud to be a 10-time supporter of his fundraising efforts. I always spend money at the event, promote the fund on this website, and even enter the silent auction multiple times. This year, two of the new recipients of the scholarships were presented. One of them was a female rodeo star, who was paralyzed in a car accident, but CAME BACK to continue competing in rodeos, despite her paralysis! She is strapped to her saddle, and she continues to be a champion. Her Dad played for the Dodgers in 1984, and maybe he taught her how to dodge seemingly insurmountable obstacles, and triumph over adversity. I encourage you to donate liberally to the cause. Just because the event was yesterday, it does NOT preclude you from supporting the fund. Please go to swimwithmike.org to see how you can help. As you view today’s 60 photos from the event, and when you come back to this site this week to see 200 MORE PICS from the event, please remember why all these cheerleaders and song girls are allowing this photography — it is all to benefit these deserving athletes who really need your support. 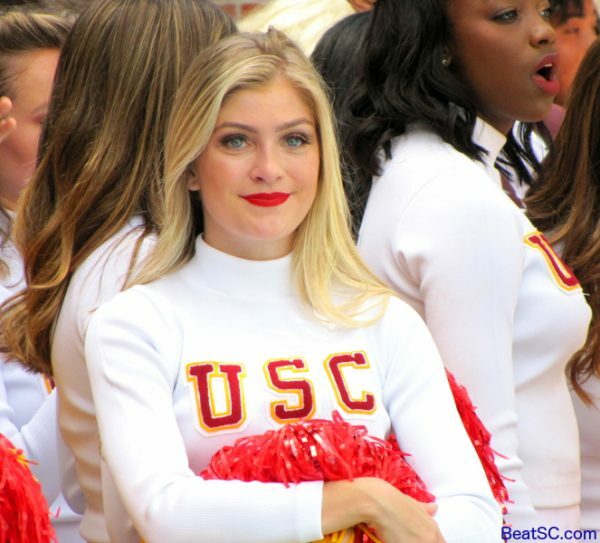 "FLOP FOR MIKE, THEN DROP THE MIC" was published on April 8th, 2018 and is listed in Non-Rivalry News, Non-Rivalry Photos, UCLA/usc/Cheerleader Photos. Thanks for sharing, always love to see the beautiful ladies using their fame for a good cause!